An annual executive gathering was standing-room only as investors clambered to hear how the industry will cope with radical upheaval. Altice, Comcast and AT&T delivered mixed messages on cord-cutting and consolidation. That suggests things may get worse before they get better. 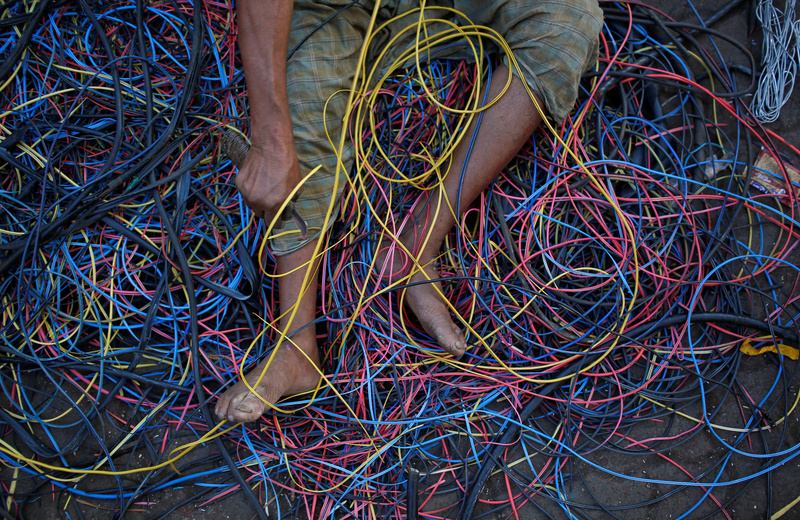 A man removes copper wiring from electrical cables outside a scrap shop in Dharavi, Mumbai, India December 10, 2012. Top executives from Comcast, AT&T, Altice, Netflix and Charter presented at the Goldman Sachs annual media and communication conference on Sept. 12.